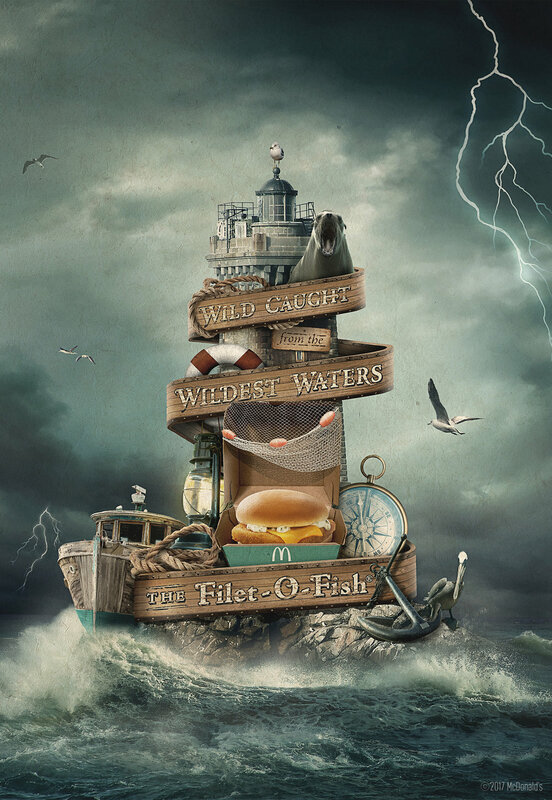 The Filet-O-Fish is made with sustainably sourced Alaska Pollock, wild-caught from the swirling waters of the Bering Sea. These are a few ads we created in hopes of getting people to believe that. We helped people find the Filet-O-Fish just like real fisherman - with a real nautical compass on their phones.